Situated by the sea, this ryokan is within 1 mi (2 km) of Hishikawa Moronobu Memorial Museum, Katsuyama Beach, and Mt. Nokogiri. 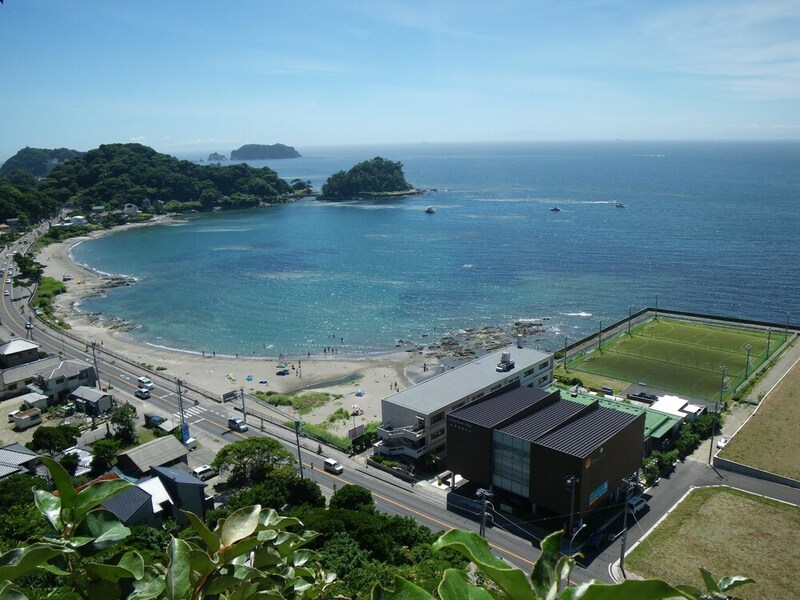 Iwai Beach and Nihon-ji Temple are also within 3 mi (5 km). Chiba Hota Station is 22 minutes by foot and Chiba Awa-Katsuyama Station is 22 minutes. This ryokan features a restaurant, a bar/lounge, and a coffee shop/café. Train station pick-up is free. Additionally, free use of bicycles, laundry facilities, and a computer station are onsite. All 19 rooms offer refrigerators and TVs. The ryokan offers a restaurant and a coffee shop/café. A bar/lounge is on site where guests can unwind with a drink. A computer station is located on site and wired Internet access is available for a surcharge. This Kyonan ryokan also offers a terrace, tour/ticket assistance, and barbecue grills. Oasis Sky Cafe - This restaurant serves lunch, dinner, and light fare. Onsite venue #2 - This buffet restaurant specializes in international cuisine. Recreational amenities at the ryokan include complimentary bicycles. This property offers transfers from the train station. Guests must contact the property with arrival details 72 hours prior to arrival, using the contact information on the booking confirmation. The Japanese Ministry of Health, Labour, and Welfare requires all international visitors to submit their passport number and nationality when registering at any lodging facility (inns, hotels, motels, etc. ). Additionally, lodging proprietors are required to photocopy passports for all registering guests and keep the photocopy on file.